The study, published in JAMA and co-authored by Theresa Rowe, DO, ’14 GME, assistant professor of Medicine in the Division of General Internal Medicine and Geriatrics, reviewed the evaluation and management of penicillin allergy. Most patients who report a penicillin allergy are in fact not allergic, and verifying penicillin allergies before resorting to less-effective antibiotics can improve outcomes and avoid the spread of antimicrobial resistance, according to a review published in JAMA. Theresa Rowe, DO, ’14 GME, assistant professor of Medicine in the Division of General Internal Medicine and Geriatrics, was a co-author of the paper, which also provided clinicians with best practices for evaluating penicillin allergy. 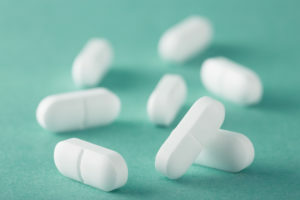 Penicillin and other beta-Lactam antibiotics are considered among the safest and most effective antibiotics, and are the treatment of choice for several common infections. But about 32 million people in the U.S. report they are allergic to penicillin, which leads to the use of alternative broad-spectrum antibiotics that are less effective. Alternatives also tend to be costlier and are associated with adverse outcomes — including Clostridium difficile infection — and the evolution of antimicrobial resistance. Recent studies, however, have shown that over 95 percent of patients with a documented penicillin allergy are in fact not allergic, and can tolerate the drug without clinically significant reactions. As a result, three organizations — The American Academy of Allergy, Asthma & Immunology (AAAAI), the Infectious Diseases Society of America (IDSA), and the Society for Healthcare Epidemiology of America (SHEA) — commissioned a review of the evidence. The societies appointed representatives to a writing group, which included Rowe, as well as clinicians at Massachusetts General Hospital and Kaiser Permanente. In the paper, the authors summarized the epidemiology and clinical consequences of penicillin allergy, as well as described various methods for assessing penicillin allergy.